Donald Trump's Walk of Fame star has been a lightning rod for violence, but it's going to weather the storm and stay put because cops and the group that manages the Walk of Fame don't want it 86'd. Law enforcement sources say the LAPD has met with the Hollywood Chamber of Commerce, and both orgs realize they're between a rock and a hard place. 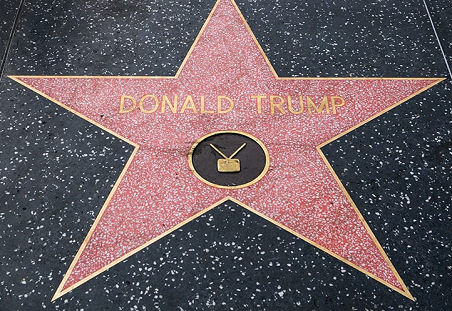 They know by keeping Trump's star front and center on the famed Blvd., it will be at the center of what has become a civil war between raging Trump and anti-Trump factions. Here's the problem, the Chamber and LAPD both agree it would be even worse to remove the star because that would embolden people to deface the stars of celebs they dislike. For example, if Trump's star is removed, Trump supporters might go after Jane Fonda's star. And, if her star is removed, others might retaliate by going after Clint Eastwood's star. So, the decision has been made to keep Trump's star in its place, knowing it will probably be destroyed again, and possibly again and again and again. Even worse, the Chamber and LAPD are keenly aware the warring factions will be using the star as a battleground.